Springtime is a great time for a garden party. The dew sparkles on the flower petals as the rising sun bursts through. The bright and brilliant colors dance in the sunshine as a cool morning breeze lightly moves through and kisses the blooms shaking them with excitement as they dance around. The blooms burst with a wonderfully relaxing and serene scent. Come and join me, won’t you!? This is image 23/52 week challenge. It’s a rendition of spin and zoom. I discovered this technique when a fellow Arcanumite posted an image from a project she’s involved in using this same technique. I queried her about how she learned and if there were any tutorial videos available. She quickly shared a video. I then watched it and decided to investigate more videos on the technique. I found another one by the same creator of the previous I watched. I liked the teaching in the 2nd video better than the 1st. I quickly began playing with the technique with my dinosaur canon dSLR. I quickly realized that the sensor needs cleaning. I have to figure out how to do that. I defaulted to using my mobile phone and a specific camera app I like to use to create with. I came up with a few new art pieces using my mobile phone camera app. This one here is one of them. 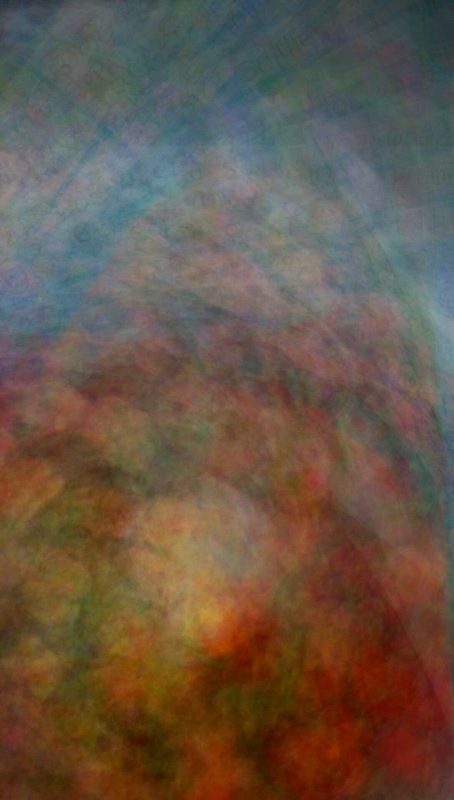 This entry was posted in 52 week challenge, abstract art, image, spin and zoom, Uncategorized, week 23. Bookmark the permalink.